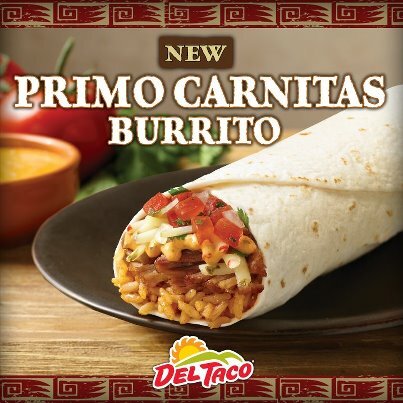 (LAKE FOREST, CA) June 11, 2012 – A new Primo Carnitas Burrito leads the pack as Del Taco brings back for a limited time the Shredded Pork Carnitas line that has become a fan favorite. Del Taco's carnitas, unlike anything available in the quick-service category, offers customers the savory taste of tender, slow-braised pork that is simmered in small batch kettles as found in the cooking methods of the traditional Mexican kitchen. The new Primo Carnitas Burrito delivers the traditional flavors of carnitas in a burrito loaded with shredded pork, seasoned rice, spicy jack cheese, creamy chipotle sauce and fresh pico de gallo salsa. 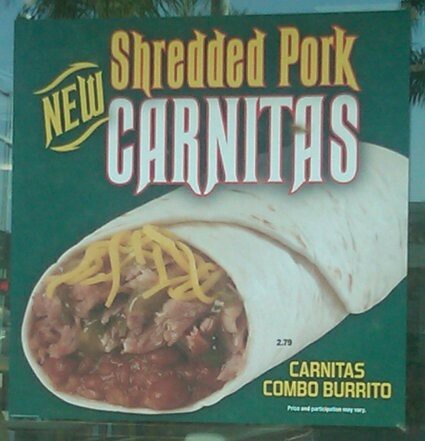 Other shredded pork Carnitas items appearing on Del Taco's menu for a limited time include the Carnitas Combo Burrito, Carnitas Taco al Carbon, Macho Carnitas Burrito and Carnitas Macho Nachos. 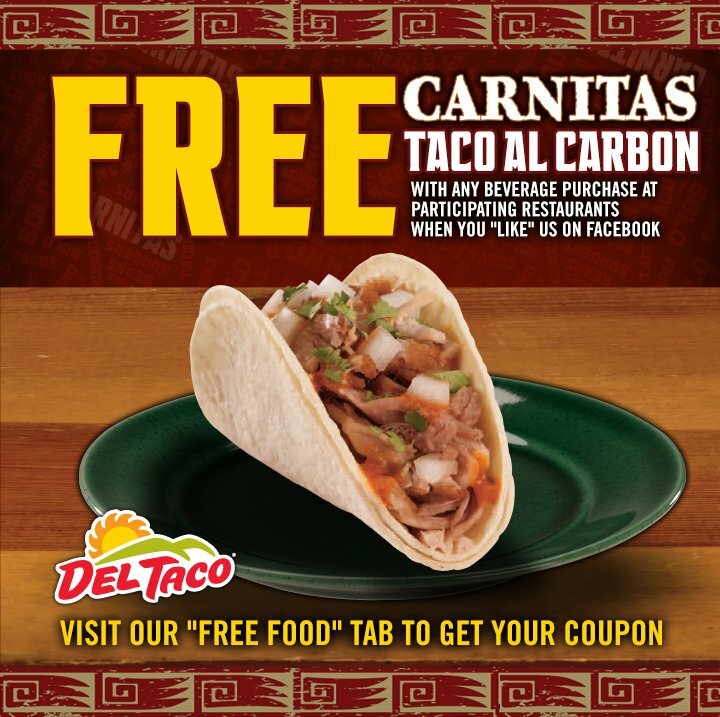 Also, for a limited time, consumers can find a coupon for a Free Carnitas Taco al Carbon with any beverage purchase on Del Taco's Facebook page – www.facebook.com/deltaco. "Del Taco fans love our shredded pork Carnitas tacos and burritos, so we're glad to bring them back for a limited time to fulfill their cravings," said John Cappasola, Chief Brand Officer at Del Taco. "Our shredded pork Carnitas is just one example of the great tastes and quality that we're proud to deliver out of our kitchens at a value that is unmatched in the category." 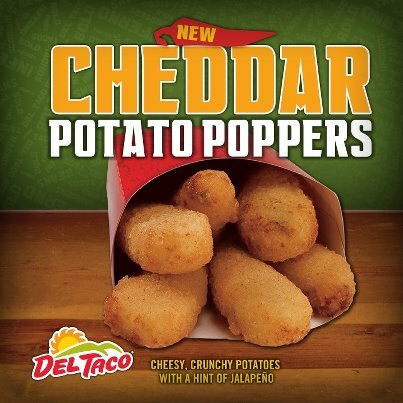 Del Taco is also adding another cravable menu item with the introduction of new Cheddar Potato Poppers. These cheesy crunchy potato bites feature bits of jalapeno for a hint of flavorful spice. A four piece order is $1.79 and a six piece order is $2.49. At Del Taco, all menu items are made to order using fresh ingredients including freshly grated cheddar cheese, hand-made salsa, slow-cooked lard-free beans and marinated chicken grilled fresh in our kitchens every day. The menu includes Mexican offerings of tacos, burritos, quesadillas and nachos as well as American favorites like hamburgers, fries and milk shakes. Del Taco also serves breakfast and most restaurants are open 24 hours with a drive thru. Del Taco restaurants serve more than three million customers each week. 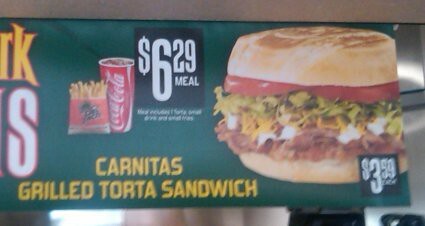 I tried it in the torta and the carnitas meat was pretty good, certainly less processed overall than the Taco Bell attempt was. The location I got it at was here, and I think I also saw a poster for it here. Click any of the three images here to be taken to the complete Del Taco flickr album. 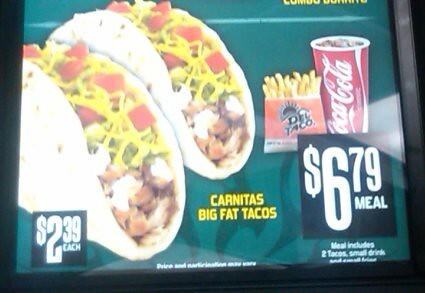 (Lake Forest, CA) Sept. 14, 2011 – Shredded Pork Carnitas is available now for a limited time at Del Taco, offering fans the savory taste of tender, slow-braised, pork that is simmered in small batch kettles as found in the cooking methods of the traditional Mexican kitchen. Shredded Pork Carnitas menu items include Carnitas Combo Burrito, Carnitas Taco al Carbon and Carnitas Macho Nachos – as a la carte items and meals. The Carnitas Combo Burrito, features slow cooked beans, tender braised pork, grated cheddar cheese and green sauce wrapped in a warm flour tortilla. The Carnitas Taco al Carbon features shredded pork, California Chili sauce, diced onions and chopped cilantro wrapped in two warm corn tortillas. The Carnitas Macho Nachos start with fresh tortilla chips, loaded with slow-cooked beans, carnitas, nacho cheese sauce, diced tomatoes, sour cream and topped with sliced jalapeño peppers. 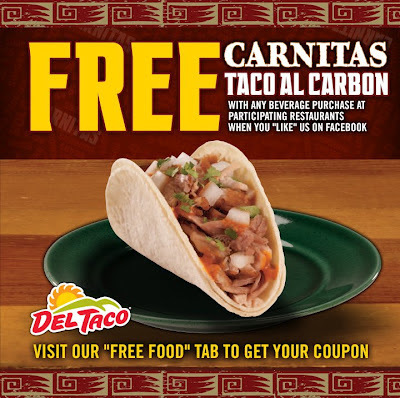 Consumers can receive a coupon for a free Carnitas Taco al Carbon with any purchase at Del Taco's Facebook fan page – www.facebook.com/deltaco. "Shredded Pork Carnitas reinforces once again that Del Taco is the destination for more flavor, more variety and great value," said John Cappasola, Del Taco's Chief Brand Officer. "Fans will find the delicious flavor unlike anything available in the quick-service category. And we've got it for a limited time. So, we're encouraging anyone looking for a fresh taste to come and try our new Carnitas."